Around 3,000 properties based on 14 different existing Redrow developments spread across the country will be gaining access to superfast broadband with speeds up to 80Mbps – which is more than double the UK average broadband speed – where previously their typical speeds were less than 2Mbps. The co-funded deal, which will see Openreach investing alongside Redrow Homes, will include housing developments in Yorkshire, West Midlands, Warwickshire, Leicestershire, Devon, Wales and West Sussex* and it will bring fibre broadband to the first tranche of residents by early October next year. A recent surveyby Redrow revealed that 98 per cent of people believe high-speed broadband comes is the most important factor for social well-being in their community - second only to doctor’s surgeries. Redrow Homes CEO John Tutte, said: “When the homes at these sites were first planned – they were not within the scope of any commercial or government investment plans for fibre broadband. We saw the potential of a national co-funding agreement with Openreach for homes we’d previously built that had lower than average broadband speeds. We wanted to improve our customers’ experience in homes that don’t have the benefit of full fibre technology. 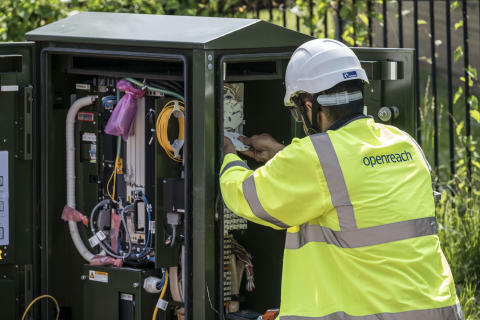 Kim Mears, managing director of infrastructure delivery at Openreach, added: “I’m delighted to see customers benefitting from this initiative, some of whom have struggled with lower than average speeds in the past. The success of this agreement shows the power of working together in partnership to find a solution to make high-speed broadband available for these customers. All future Redrow homes will benefit from full fibre FTTP technology delivering ultrafast speed as standard, but these 3,000 homes were built before Fibre-to-the-Premises (FTTP) technology was widely available free of charge to developers. Openreach now has an agreement in place with the UK Government and the Home Builders Federation to provide ultrafast fibre broadband infrastructure free of charge to all new housing developments of 30 properties or more. In addition, Openreach has teamed up with property firms across the UK to ensure new homeowners get instant access to their new high-speed broadband on the day they move in. A new ‘framework agreement’** means Openreach is kept up-to-date by developers as homes and businesses are being built, and told when they are due to be completed, so that the ultrafast fibre network can be built in harmony with construction on the site. More than nine out of ten premises across the UK can access superfast broadband speeds today and Openreach is working on hundreds of similar fibre partnership programmes across the country to bring faster internet access to even more homes and businesses. Scores of homes in Rowley Regis are set to see their broadband speeds soar thanks to a new partnership between housebuilder Redrow Homes and Openreach, Britain’s digital network business. Meanwhile, around 1,900 new Birmingham and Black Country homes have benefitted from another deal between the Home Builders Federation, UK Government and Openreach to provide ultrafast broadband.